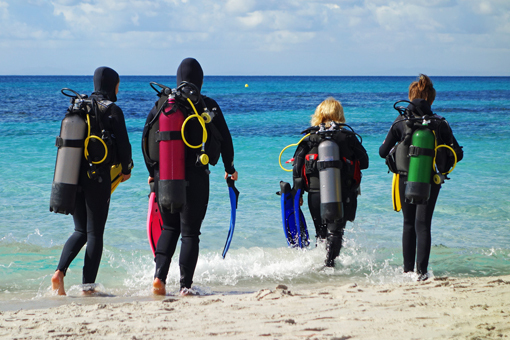 All discounts and promotions in first dive, courses and outings in TossaSub. If you want to try for the first time the feeling of being under the sea, to breathe, and enjoy one of the best feelings do not hesitate! will have a monitor that you made ​​an explanation of how the equipment works , how we should use it, how to breathe underwater, communication signals and much more. 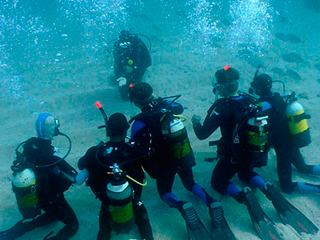 Then you equip and we go to the beach where we will dive up to 12 meters depth for approximately 40-45 minutes. The price per person is 60 euros, if you are five or more is 56 euros per person. 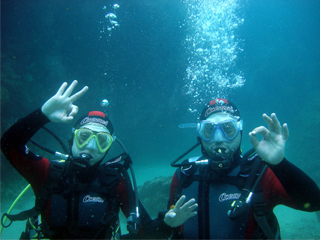 OWD, if you are two persons 320€, if you are 4 people 310€, making 5 dives in open water, from la Mar Menuda. Located north of the coast of Sulawesi, Bangka Island (Pulau Bangka) is the largest of all the islands of the same name. Our resort (Murex Bangka) is housed in a white coral sand beach on the south end of the island and enjoy it exclusively for our group. With over 25 dive sites around the island, diving in Bangka is characterized by the presence of a reef topography of rocks, caves and completely covered with colorful soft corals, sponges and sea fans pinnacles. 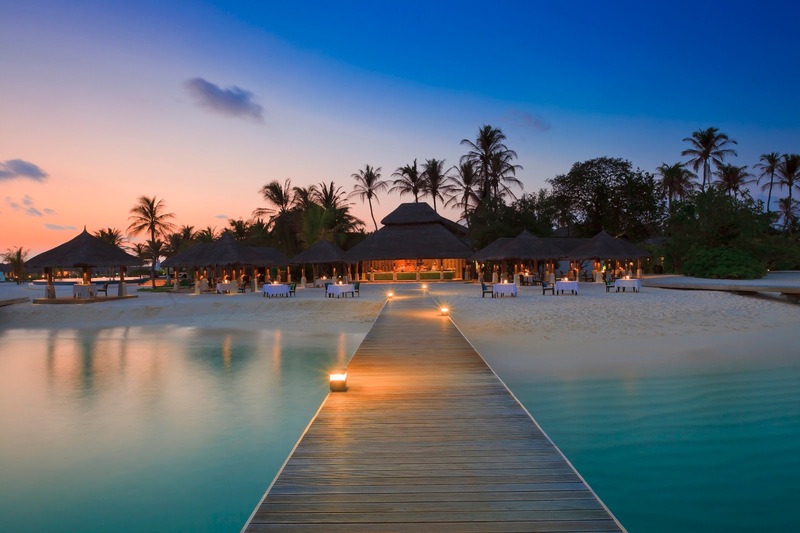 The marine life is virtually intact and is spectacular because of the exposure that the island has to currents caused by the confluence of the Indian and Pacific oceans and the amount of nutrients provided. 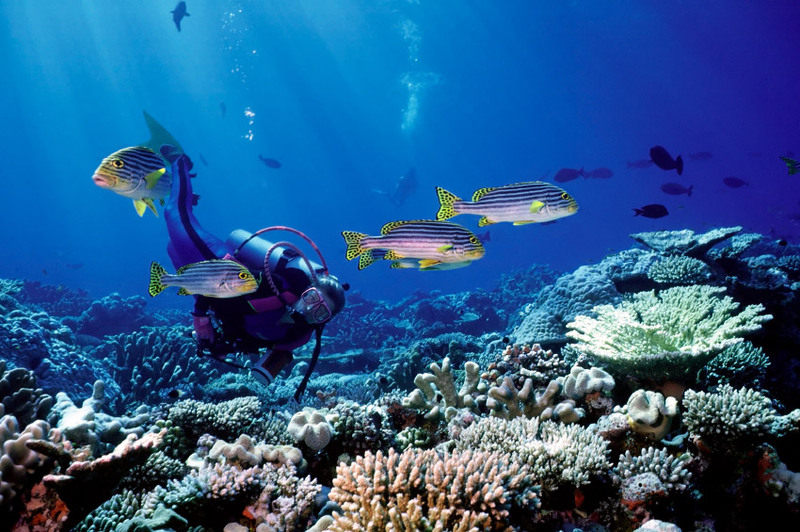 This means that the diversity of all species of reef is ensured. In addition, pelagic species such as sharks of different kinds, mackerel, tuna and rays are also sighted. Ultimately, it is considered that in terms of biodiversity and variety of dives, especially diving around Bangka and North Sulawesi is one of the best worldwide. One or two days also will dive in Lembeh Strait, the place on the planet where the highest number of strange and curious sea creatures (critters) and, therefore, an underwater paradise for macro contemplation species. A muck diving Lembeh making a unique place to discover species that are only found in its waters. The best time of year to dive in these waters are March to June and October to December, periods when visibility can be over 35 meters. 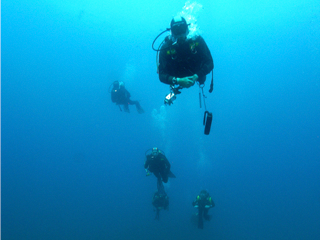 We use Instructor, Divemaster and guides for all the year, weekends and summer season. If you want to work in a nice atmosphere, and you are serious and professional send your CV toinfo@tossasub.com. If you want to progress in the diving world by exchanging collaborations TossaSub diving training courses or as collaborating on guidelines and / or training of other divers.